KASTURI INSTITUTE OF MNAGEMENT is promoted by the renowned Kasturi Group of Companies, very familiar and well known name in aviation and textile industries at Coimbatore for decades. The love and dedication of Dr. Arvindkumar Ratilal Shaw, great philanthropist and Kasturi Group’s service to the humanity through Kasturbai-Manekbai Charity Trust has enabled them to open many educational institutes at Coimbatore and Kasturi Institute of Management is their flagship. Kasturi Institute of Management is a leading Aviation Business School focusing on the development of careers of young professionals in the aviation industry. Registered and accredited by IATA, Kasturi Institute of Management was established as Authorised Training Centre (ATC) at Coimbatore, where the need and demand for such training cours	es are high. 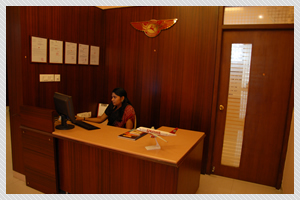 Kasturi Institute of Management offers a wide range of aviation courses under Bharathiyar University, Coimbatore. Kasturi Institute of Management has joined hands with Bharathiyar University to offer the specialised and prestigious BBA (3 years) and MBA (2 years) programme in airline and airport management. The Kasturi Institute of Management academy offers an environment of resourceful learning which is a haven for the aspiring individuals to discover their potential and to be transformed into skilled employable personnel. Kasturi Institute of Management-IATA ATC organizes, coaches and prepares students pursuing Management , Tourism, Hospitality and other related subjects for the IATA exams. Why Kasturi Institute of Management ?